The kiddos are back to school and now it’s time to get caught up on our own professional development. Enjoy 20-50% savings on select online continuing education (CE) courses during our Back to School Sale. Have a coupon? Apply it at checkout for additional savings (one coupon may be applied per order). Offers valid on future orders only. Hurry, sale ends August 31, 2017! Click here to view all Back to School Sale courses. 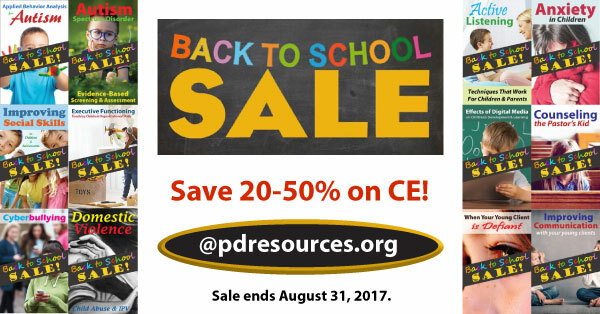 This entry was posted in Promotions and tagged back to school, back to school ce sale, Back to School CE Sale @pdresources.org, CE, CE sale, CEUs, continuing education, Online Courses, Professional Development Resources by Gina Gunderson. Bookmark the permalink.